Summer is rounding the final stretch and that means humidity, scorching temperatures, and unruly hair. And while some of us wear our ‘dos close and cropped and in turn, beat this late season heat, there are still plenty of us with long, luscious locks contemplating very, very short haircuts. But hold that thought, damsel in distress, because Self magazine is giving you 7 No-Fuss Hairstyles, one for each day of the week. Keep it tame on Mondays with beachy waves, spice up Thursday with a sleek and easy blowout, and finish your week with Sunday’s low bun. And even though these are great tips for keeping your fresh summer look even on the hottest of days, all of these suggestions work great year round! Now that’s style, sister. What is your signature summer style? C’mon, we all have one. Well, if you haven’t figured out what yours is yet, there’s still time! And thanks toThe New York Times Magazine you’ve got some inspiration to help get you there. Maybe you’re a hot weather siren, draped in crimson as the temperature rises. Or are you currently trapped in electric ladyland mixing bright accent with bold garment. Personally, we’re spending this summer both uncomplicated and chic with distressed boyfriend jeans, feminine heels, and blousy tops a la Katie Holmes. Whether you’re ready to change up your style halfway through the season or just need a little motivation to bring this summer home, T magazine has it in their Summer Style article. See ya under the sun, gorgeous. With all the great beauty products out there, sometimes we forget that all the necessary ingredients for a mask, exfoliator, moisturizer and more are patiently waiting in our refrigerators! With just a little help from everyday fruits, veggies, and oils, you can have clear, glowing skin at a fraction of the spa cost. 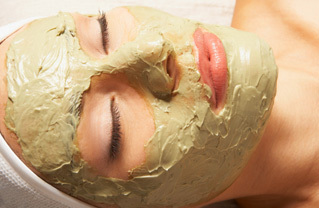 And thanks to the internet and our reliable pals at GoodHousekeeping.com and their article on homemade beauty recipes, you can have an at-home treatment for face, body, and hair. Drugstore remedies can be a nice quick fix but with all natural ingredients you’re guaranteed to be doing good by your skin. What works for a blonde may not work for a brunette… and certainly won’t for a redhead! With so many makeup products and shades out there today, how do we filter through all the eye-popping hues to find the right ones for our hair color? Ever the wiser big sister, Marie Claire magazine once again saves the day. Catering to all budgets and hair colors, this photo article not only gives you the best color advice but also a brief explanation as to why these are the right shades for you—all you redheads will learn that your makeup shouldn’t compete with your vibrant hair, brunettes will finally understand the importance of clean eyebrows, and blondes will stop overpowering their faces with too much color. So put down that shadow brush, set aside that tube of lipstick, and make sure that your makeup is working for you, gorgeous! Natalie Portman knows the right hairdresser… her taste is DIVINE. 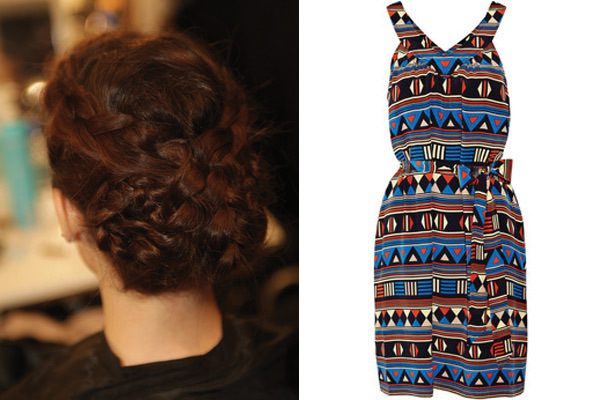 We at Fashion Societé also love scouring the runways of New York and Europe for new hairstyles to try. Here are some of our fall favorites. Big ringlet curls are a huge trend for fall. That means hot rollers and large curling irons are going to be hot commodities. Keep the curls down near the tips of the hair for the best look. Pretty Polished Ladylike hair doesn’t have to be prissy and precious, as evidenced by the styles at Carolina Herrera. All it takes is a great blowout and, yes, a deep side part. Of course, a Carolina gown doesn’t hurt either. Uptown Girl Sometimes bigger really is better. And the new twist on the beehive feeds both my updo and Mad Men obsessions. Get ready to tease it high this fall, ladies.